Crocodile Run!!! 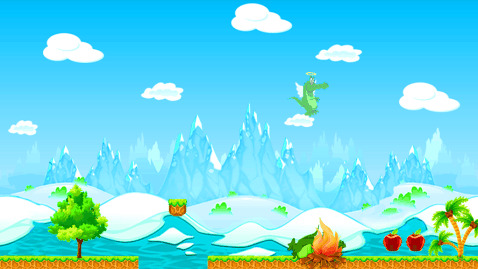 The amazing run game, little crocodile is hungry, help the little crocodile to find its food in this cold winter. 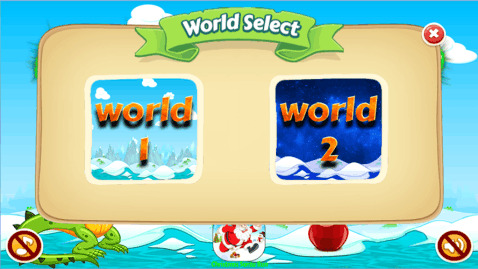 Make crocodile run without falling into the ice cold water and to take all apples. 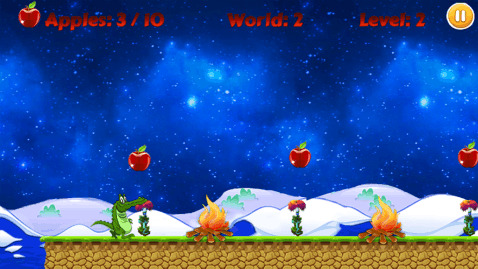 Just tap the screen to make little crocodile jump and get all apples to the little crocodile to make him happy. This run game will be a best challenging running game with best levels of running and jumping. It’s a fun run game with best graphics and music. ***Features*** 1. 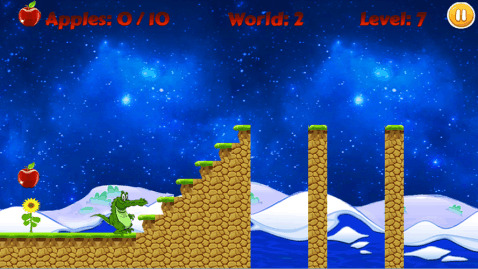 Tap the screen to make little crocodile run. 2. Collect all the apples as our little crocodile is hungry. 3. Run and finish all the levels. 4. 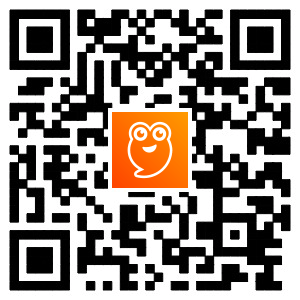 Have the music and sound effects. 5. Lots of challenging levels ***How to play*** 1. Just tap the screen to let the crocodile jump. 2. 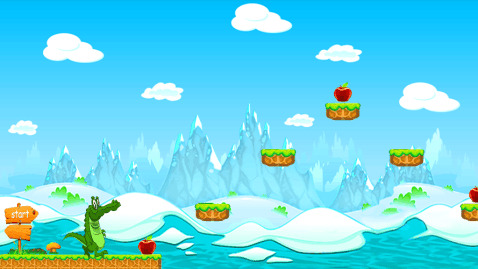 Collect apples as many as you can, without fall off the ground. 3. Run to the end of the icy winter to pass the level.